Oh yeah, I have a blog! I’m not convinced that grilling romaine lettuce “adds a smoky char to a Caesar salad” but I love Caesar salad and any excuse to try a new one is fine by me. This one was pretty great and I don’t know about you but if I’m going to fire up the grill I usually want to make more than one thing on it if possible. So grilling your salad along with your main dish (unless salad is your main dish and I’m all for that) is just efficient and thrifty. And that’s how I roll. (Shoes don’t count. In Illinois anyway). 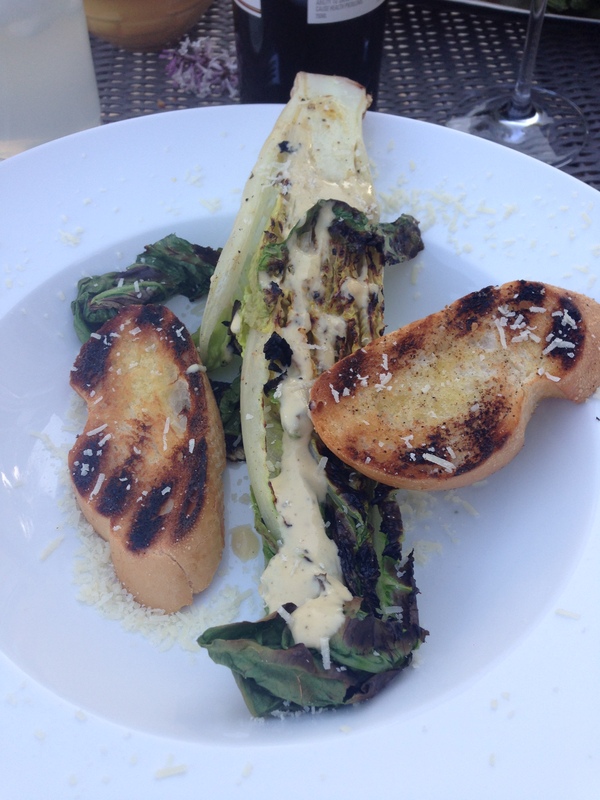 Aside from grilling the lettuce and the croutons this is a pretty standard Caesar: mayo (instead of raw eggs), garlic, anchovy fillets (oh don’t be a baby – you won’t even taste them), parmesan. But did you see how yummy those grilled croutons looked? Grilled Caesar Salad is from the June/July 2013 issue of Cook’s Country. Love those croutons!!! I make them either grilled or in a pan and put ’em in a ziploc and freeze them. I can whip them out for all sorts of things besides salads. I put a few in a bag and bash them with a rolling pin or meat pounder to make luscious breadcrumb topping for things like Eggplant Parmigiana. 🙂 It’s great to have them on-hand. Great summer post!!! 🙂 Everyone will enjoy this, even with the fish!